Players alternately add tiles to the first or last letter of a word in the middle of the table creating a continuous snake of new words. 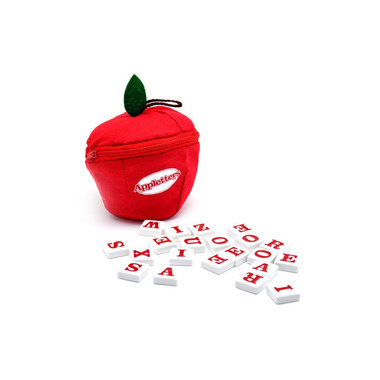 Similar to Appleletters, however each player begins with 21 tiles instead of nine, and may actually replace an opponent's word with a longer word. The goal is to be the first player to get rid of tiles. Players build words as long as possible in crossword-like fashion and get bonus points for length, palindromes and going out first.